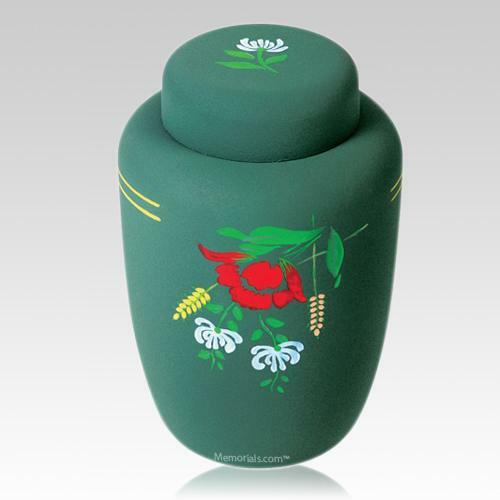 Featuring a secure "snap lock" closing mechanism that permanently closes the urn. "The Superintendent at Somerset Hill Cemetery took a picture of the marker for me. He even made the comment that "the quality of the marker was great". I am more than pleased. I have had nothing but excellent customer service from Memorials.com, speaking mostly with Debbie or Amelia. I wish I could see this in person, but it is not easy for me to travel as it once was. I have emailed the picture that was sent to me to all of our children scattered in FL, MI, AZ, NC, OR, NYC and one still in NJ who will be going to see it for himself. We are a 4 generational family and very close, if not in miles. You did a fine job with what to me is a very personalized marker. I think Glen would be very happy as well."